Giving back to our local communities is important to us. 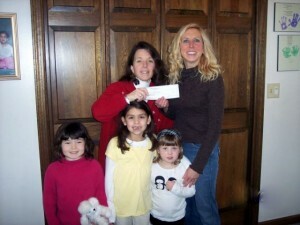 Each year, several area charities focused on the needs of children are selected to receive a donation. Since 1997, Families of FANA has donated over $200,000 to worthy organizations in need. Giving back helps keep our community strong, our organization focused, and teaches our children kindness and instills in them a strong sense of civic responsibility.